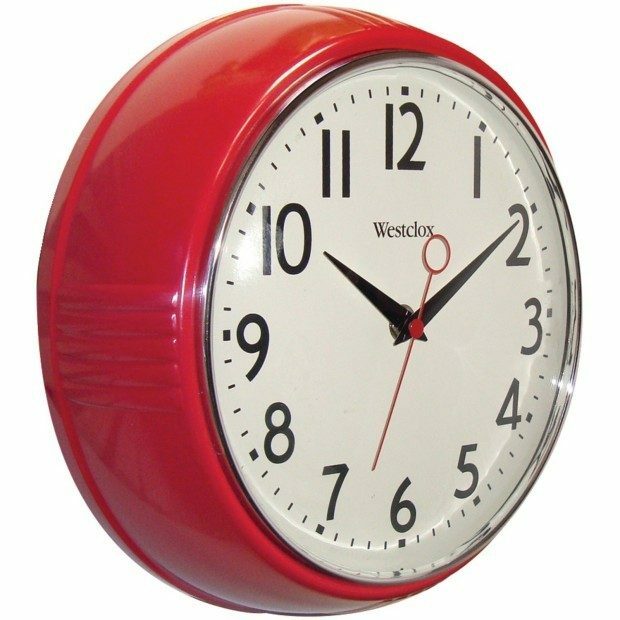 Westclox Retro 1950 Kitchen Wall Clock Only $12.99! You are here: Home / Great Deals / Amazon Deals / Westclox Retro 1950 Kitchen Wall Clock Only $12.99! This reminds me of a clock that hung in my grandfather’s kitchen when I was kid! Makes me think of all the great summers I spent with him! Order the Westclox Retro 1950 Kitchen Wall Clock for Only $12.99! You save $5.20! For a quaint, simplistic design, the Westclox 9.5″ Retro 1950s Kitchen Wall Clock is the perfect piece to suit your decor. This wall clock has a classic ’50s design, chrome bezel and convex glass lens.